Planning a college break trip and trying to figure out where to go? Thinking about Daytona? South Padre Island? The Bahamas? Maybe it’s time to think outside the box, and try something different. Whether your group of college buddies includes competitive players or pure beginners, a golf trip to Myrtle Beach is the perfect option for some much-needed R&R from your studies. Here are the top reasons the Grand Strand is the place to be for your college trip. 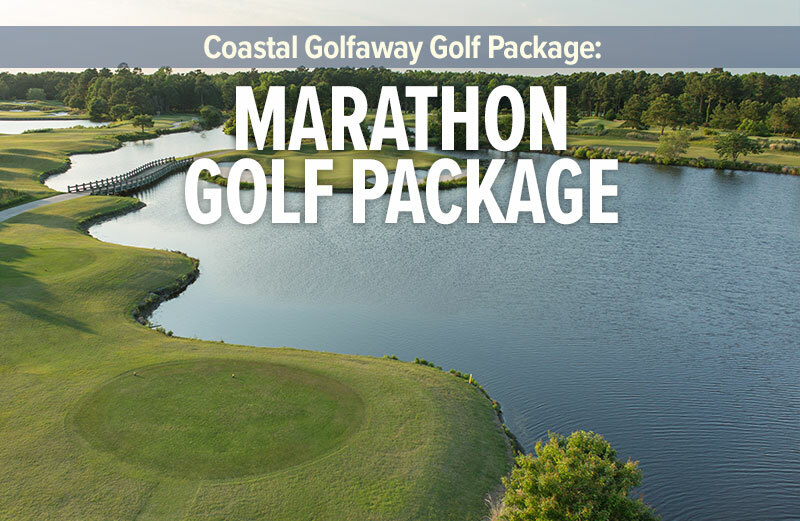 Availability: Along the Grand Strand you have the choice of 80 world-class golf courses in a 60-mile stretch that range in price, playability, and overall experience. Whether your itinerary includes the likes of Caledonia Golf & Fish Club in Pawleys Island, Grande Dunes Resort Course near the heart of the beach or Tidewater Golf Club along the north end, this is just a small sample size of great golf courses you’ll find throughout the area. Proximity to Your School: Getting from point A to point B is a big deal for college students, and location is key to making it easy. That’s why many college students from the University of South Carolina, Clemson University, University of North Carolina, Wake Forest University or the University of Georgia, among many others, choose Myrtle Beach as a viable drive-market destination. Even if you want to fly from points farther away, you might be surprised at your ability to get a very affordable flight into Myrtle Beach. Overall Affordability: A wide variety of choices in golf courses, accommodations, travel and package options makes the Grand Strand one of the most affordable golf trips in the U.S.; why not make it a great option for your college trip? Night Life: After a long day of golf you need places to go with your group. In Myrtle Beach you can take your group out to Barefoot Landing or The Market Common, for starters. In Murrells Inlet you have the MarshWalk with restaurants and bars for miles. If you’re in southeast North Carolina, Sunset Beach and Wilmington offer a wide variety of evening entertainment options for your group as well. To begin planning your golf trip today, click here! To book your package today, click here!